David Blandy and Larry Achiampong examine the possibility for truthful, authentic experience via the popular cultures that have influenced them. 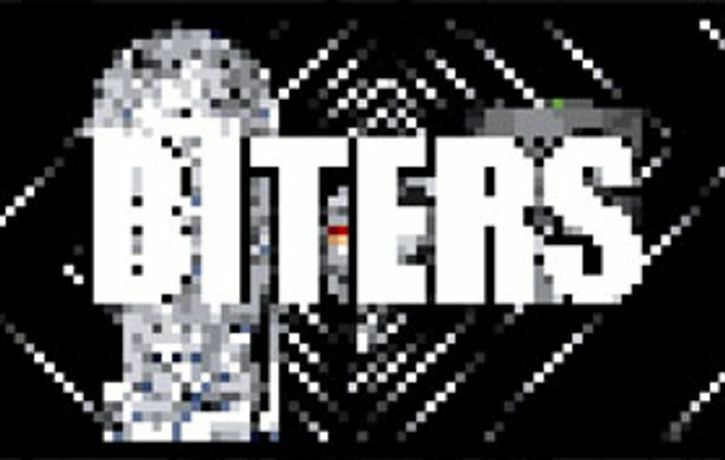 About the project As Biters David Blandy and Larry Achiampong examine the possibility for truthful, authentic experience via the popular cultures that have influenced them. They investigate what identity might mean in the post-colonial and post-mass media age by crate-digging through history, recycling already-sampled beats and reciting stolen rhymes. By forming Biters and referencing the image of a DJ and MC from a rap crew, the two artists acknowledge the debt their practices hold to hip-hop culture and its relationship with art and appropriation; the reconfiguring of prefabricated objects, a logo or symbol becoming a mark of tribal affinity, an audio source and/or drum break that paints the environment to an entire song. American rap lyrics are filtered through Blandy's British voice as Achiampong (re)mixes second-hand beats in front of projected montages of found video, bringing hip-hop's "real" into the white cube. 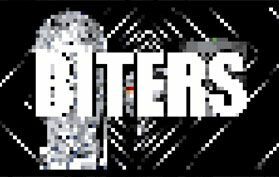 The Biters' remixes will become remixed again in collaboration with a succession of guest artists and musicians, echoing the constant recycling of contemporary culture. Finding links between Lacanian thought around the fiction of identity and Anansi folklore of the shape-shifting God of Stories, Blandy and Achiampong alter their image with each performance, taking faces from high-capitalist culture as a way to critique from within. A particular touchstone is the Nintendo game Legend of Zelda: Majora's Mask, in which a series of different masks are used to achieve different objectives, putting the world to rights through a series of alternate identities. About the artists Larry Achiampong is a British-Ghanaian artist who has exhibited, performed and presented projects in various institutions within the UK and abroad including Tate Britain/Modern; London, Hauptbahnhof (dOCUMENTA 13); Kassel, Iniva; London, ICA; London, Yinka Shonibare's Guest Project Space; London Westergasfabriek; Amsterdam, Ausland; Berlin, and the Bokoor African Popular Music Archives Foundation; Accra. David Blandy has exhibited at venues nationally and worldwide such as The Baltic; Gateshead The Bluecoat as part of the 2008 Liverpool Biennial, Turner Contemporary; Margate, Spike Island; Bristol, 176; London and Platform China Project Space; Beijing.